Hi!! 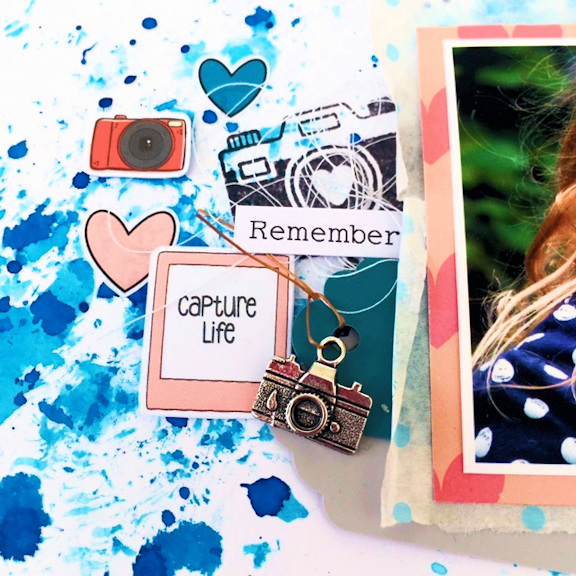 I’m back today with more September inspiration and once again I’m joined by some of the designers from Bramble Fox who we collaborated with last month. 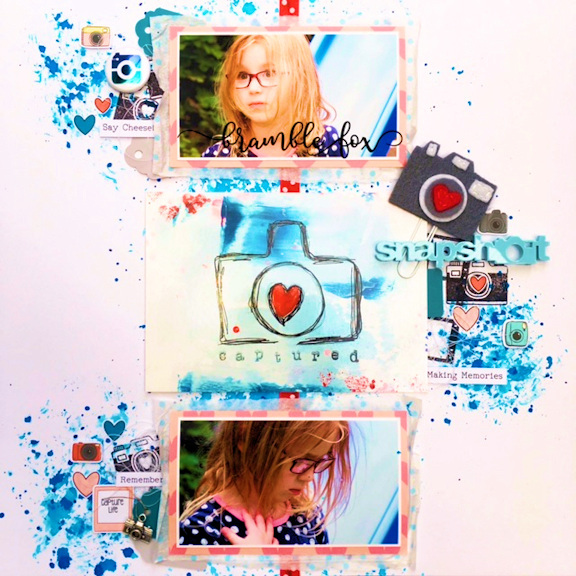 Today I have Julie and Pol designing with our September kits. 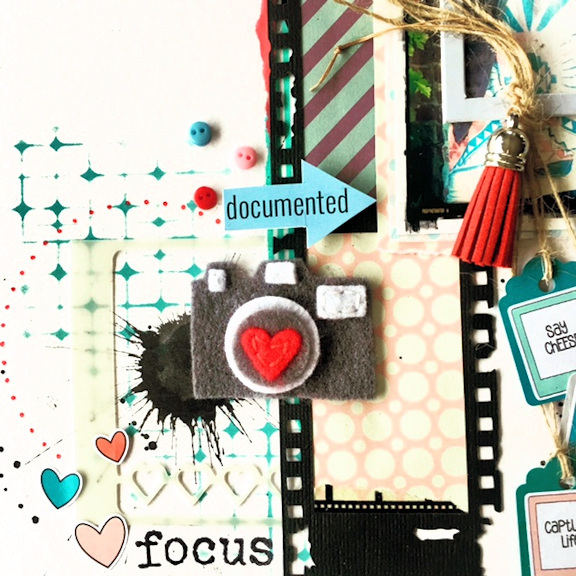 I love this creative scrapbooking layout from Julie. It’s so creative. 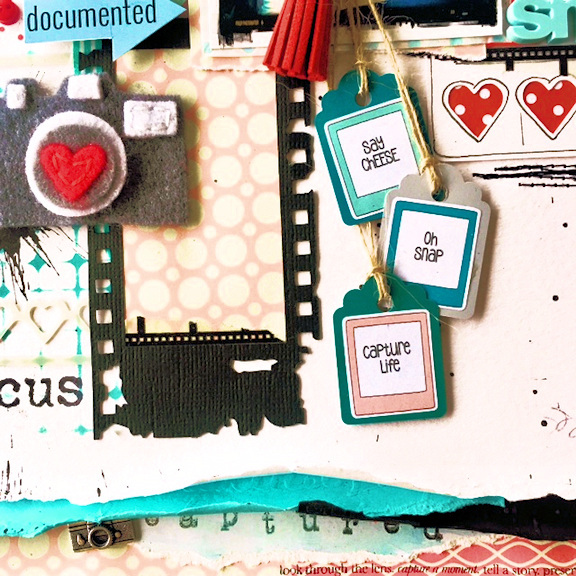 Julie removed the paper clip from the felt camera so she could use it as an embellishment. Great idea! 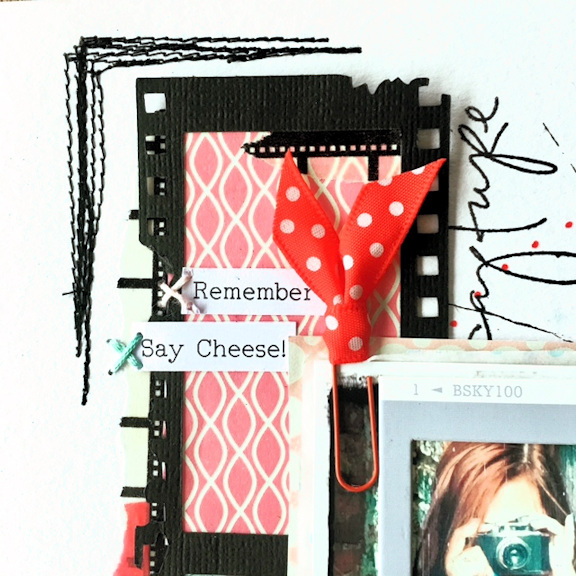 The ribbon from the kit has been added to a paper clip here and attached to the polaroid frame from the kit. And look at all the detail here. I spy a glimpse of the postcard underneath here too. 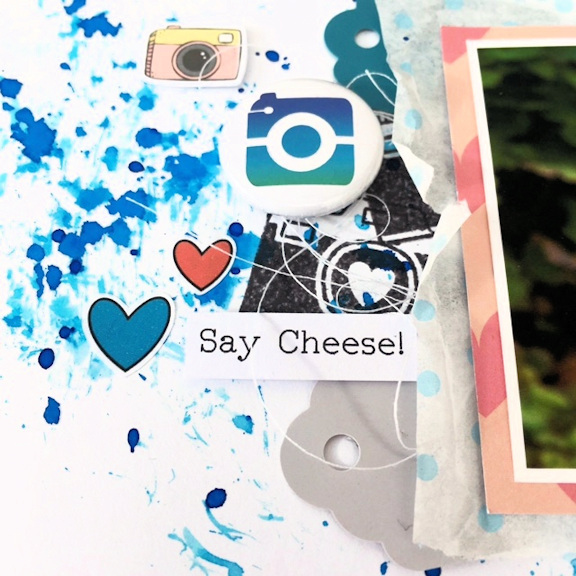 It’s a wonderfully creative page and uses so many elements of our September box in so many creative ways. Love it!! 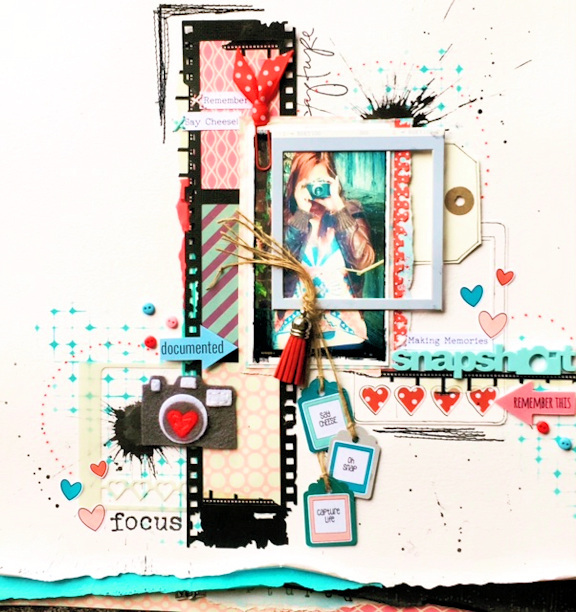 Pol has also used many elements from the kit on her page. 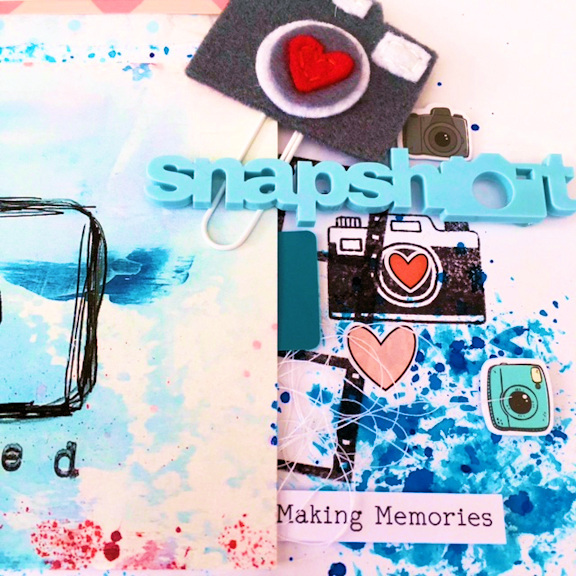 The camera clip pops up over the ‘Snapshot Title’ and Pol has used our exclusive camera stamp and placed one of the heart stickers in the centre of the stamped image. 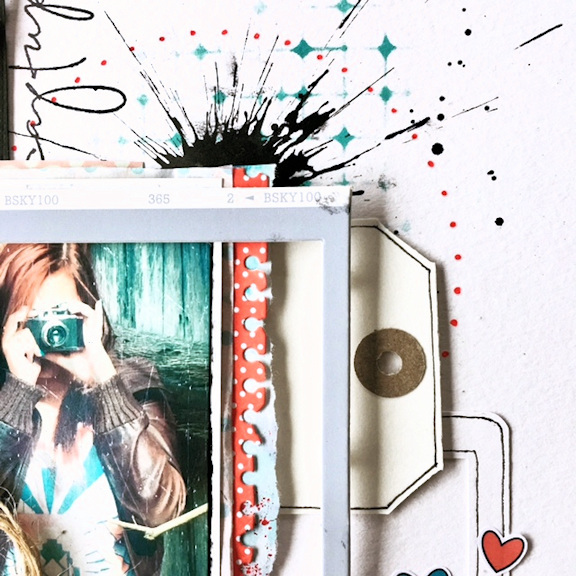 Pol used some of the paper from the kit behind her photos and the Flair too layered with the tissue from the kit packaging, the tags, stickers and more stamping. And here you can see the camera charm from the kit. So many fun details have been added.